Teena Durrani Luxury Bridal collection have been launched and its available under name “Mon Reve Bridal Collection” we are going to show you which type of dresses were launched. After launching festive season and formal clothing Teena Durrani is back with her bridal dresses with her signature design luxury embellishments for this wedding season. Teena Durrani is famous name in the fashion circuit almost on every bridal couture her collections are on the top because of traditional luxury dress patterns. This collection is based on the floor length traditional dress patterns all the dresses are in beautiful colors and patterns dress designs are purely eastern some modern designs are included but focus was on eastern designs. Wedding season is soon to start and if you have wedding in the coming months you will be center of attention you must be searching for dress types for various events of weddings. Mon Reve Bridal collection have bridal wedding day dresses and bridal party wear dresses all dresses are special and have their own significant importance because of the dress quality and design. Teena Durrani have combined Mughal era art with modern European art designs by combining two different sides of the world she have created something special which will be remembered as your wedding dress for years to come. Chiffon and french silk net fabrics have been used these fabrics are perfect for autumn and start winter season weddings work on the dress makes it more heavier so you can wear them in winter days also. Silk embroidery is done this time to make these dresses more appealing and attractive all designs are eye catchy because of the color palettes and amount of work done on the dress. 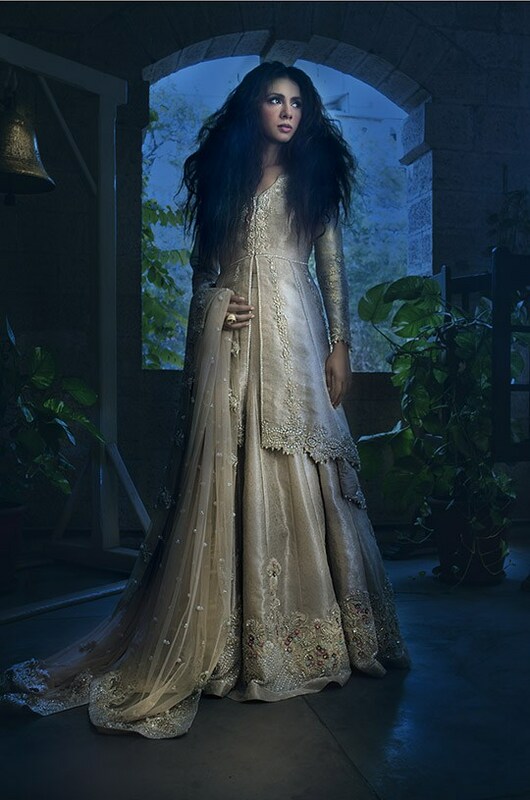 Teena Durrani Luxury Bridal Mon Reve Collection is the first for this wedding season and it does have the royal feel so check all the designs and see what’s available for you as a bride.